"Sometimes the answers have been right there in front of you all along." Cadence and Savannah were identical twins physically but could not have been more different in personalities. That did not keep them from having that connection that many twins experience. They were so close that one could feel what was happening to the other one even when they were not together. As children, they had their own secret language that they used to communicate with each other. It is because of this strong link between them that Cady knows Savannah is in trouble on the day she is found dead at age 17. Cady felt everything that Savannah went through at the exact time it was happening. She called 911 and even though the police arrived quickly, it was still too late to save Savannah. Now, in her 30's, Cady is married to a psychiatrist and is a successful author of several bestselling murder mysteries. Her marriage may be somewhat of a farce but she has her writing to help her deal with the personal demons she has carried with her since Savannah's death. Her killer was never caught and the case was quickly demoted to the basement of the police department where the cold case files go. Cady is currently churning out a new book with a deadline and suspects that her husband might be having an affair with his receptionist when she gets the news that Savannah's case is being re-opened. With no shortage of suspects, Cady does not know how to feel about it although resolution has always been what drives her to write. In addition, she is reunited with the man who was her high school crush once upon a time. He works as a corrections officer at the nearby prison and reluctantly gets her a meeting with a notorious serial killer being housed there. After only one meeting with this killer, she has some ideas regarding Savannah's death as well as the person who might have committed this horrible act. Too many questions still remain and Cady's life is spiraling out of control as she continues to use her writing to unearth Savannah's killer. The point now is whether or not she will make it out as a wholly sane person, or even an alive one. NOWHERE GIRL is seriously one of the most captivating books I have had the pleasure of reading. It grabbed me from the first sentence and kept me enthralled through the rest of the book. There was never a time that I was bored or looking at the clock to see what time it was. I was completely focused on Cady and Savannah's story to the point that I was sitting up quite late into the night reading. One of the coolest things about NOWHERE GIRL is the ending. If you can guess how everything all turns out, you are a rare individual, indeed. Susan Strecker offers plenty of suspects before the finale when all is revealed. My jaw dropped and stayed that way for a bit as I read what had happened to Savannah on that fateful day. Something else that is fascinating in NOWHERE GIRL is the fact that there are several highly interesting side plots going on as well. These make the characters even more three dimensional. I could totally see myself joining them for their weekly dinners and coffee meetings. NOWHERE GIRL has so much to offer readers that it is difficult to point out all of them. 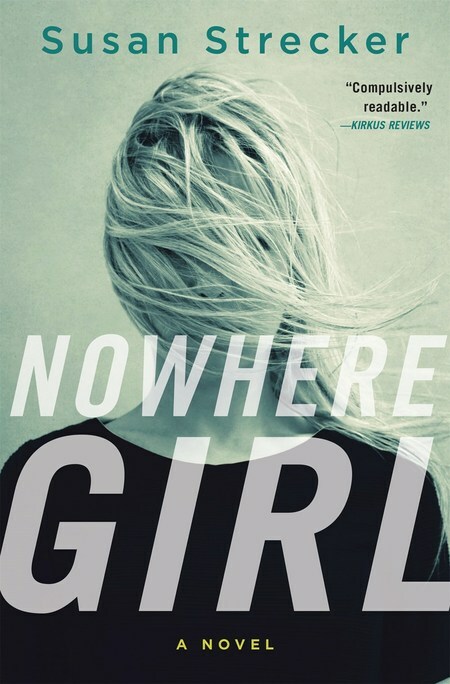 Let's just leave it at if you want to read something that offers total entertainment with a few chills along the way; NOWHERE GIRL is that book. In an abandoned house, sixteen-year-old Savannah Martino is strangled to death. The police rule Savannah�s murder a random attack of opportunity, which prompts the small New Jersey town to instigate a curfew and cancel football games. Isolated and afraid, Savannah�s sister, Cady, continues to communicate with Savannah through dreams. Cady knows Savannah in ways no one else knew: The beautiful, ethereal twin everyone thought was an angel was actually on the road to self-destruction. Years later a chance encounter while researching her latest novel coincides with an unexpected call from the once-rookie cop on Savannah�s case, Patrick Tunney, now a detective, who tells Cady that Savannah�s case has been reopened. Through new evidence, it has been determined that Savannah�s death wasn�t a random attack and that whoever killed her sister loved her. Despite years of interviewing convicted killers, profilers, and psychiatrists for her bestselling thrillers, Cady isn�t prepared for the revelation that someone close to her could have killed her sister. Cady is drawn into a labyrinth of deception and betrayal reaching all the way back to her childhood that will force her to find the strength she never knew she had in order to face the truth.